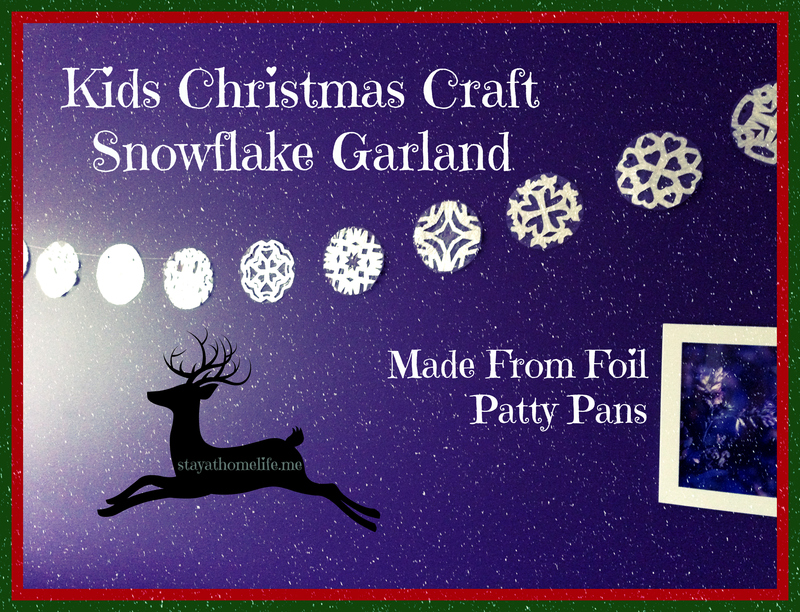 We started making snow flakes from patty cake pans – as you do, they were so pretty, I figured we should use them for something more than making a mess. I am sure everyone has made snow flakes before, so I won’t worry about elaborating on instructions. We used the tin foil patty cake pans, then laminated them so they wouldn’t break and could be strung up easier. I strung them up with fishing line, but any kind of string would have been fine. Pretty Cool results I think.